You are visting the best Shelby webpage !!! Have you ever wondered how the process starts? 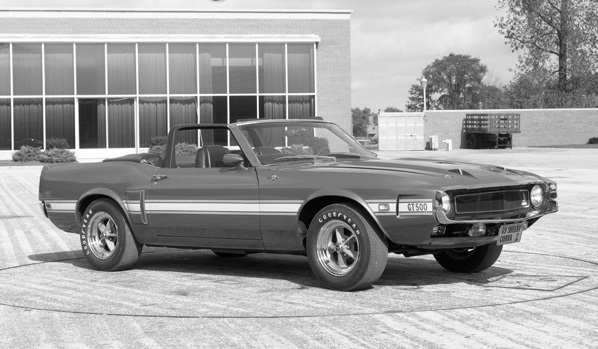 In the fall of 1967, before Shelby moved out of the Los Angeles facilities, plans for the new 1969 Shelby were already under way. 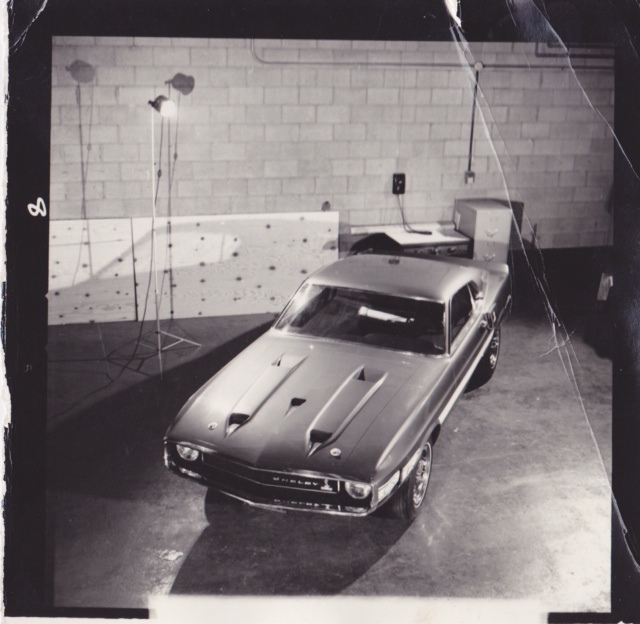 By the time production of the 1968s wrapped up, the new models were already in the advance prototype stage. It's easy to confuse "prototypes" with "engineering" cars. They are two different animals. Prototypes usually originate before production starts. Engineering cars are usually taken from the lines to test or evaluate specific ideas. Fuel injection is one example. Many of the cars had strange looking, pre-production parts. Sometimes you can identify them from these items. 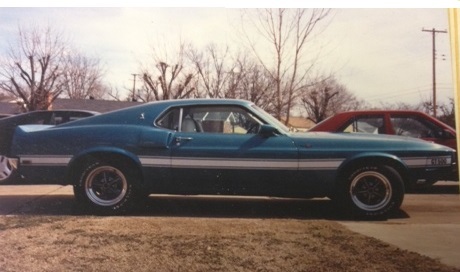 This car is undoubtedly the first "1969" Shelby. However a close look reveals this is actually a mock-up and not a real functioning car. It is most likely a full-sized fiberglass model. The photograph is dated 1/29/68. That's actually during 1968 production. Several cars were actually built before Shelby numbers were assigned. It is remarkable any of these pre-production prototypes even survived. This car is still unidentified. 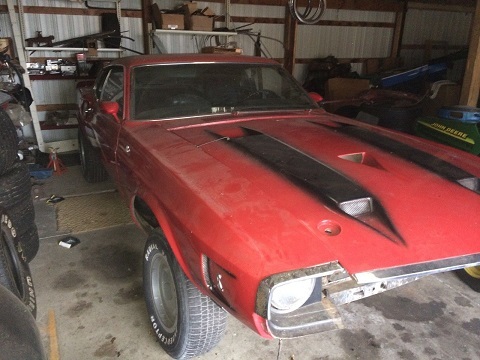 It does not have an interior or a roll bar in the picture. 9S02S100026 This car was photographed a Ford's design studios. It's a red fastback. You can see many things that never made it to production. This car was actually built at Ford's pilot assembly plant. Photo courtesy of the Shelby Automobile Club. 9S02S100029 Was also a red, fastback built at the pilot assembly plant. This car was used for PR shoots and later donated to a college. It is almost indistinguishable from 9S02S100026. 9F03Q102336 A black convertible with a white interior. 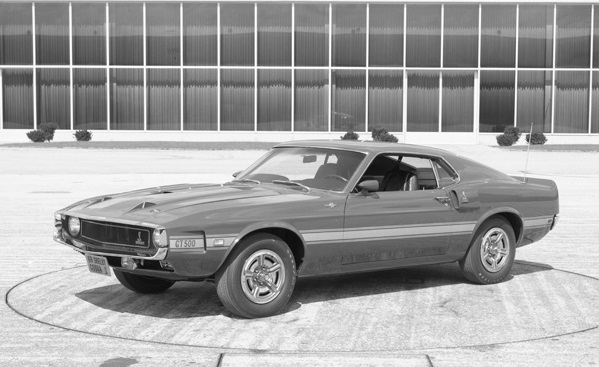 Based on existing documentation from the Shelby American Automobile Club, I believe this car may have been configured as a GT 350. 9F03Q102337 This car was a Gulfstream Aqua, convertible with a black interior. This car was likely a "crash test" car. Remarkably, the original trunk lid does survive today. 9F02Q102338 Originally a black fastback with a black interior. Only two black 1969 Shelbys were built. It is now painted red. 9F02Q102339 A Gulfstream Aqua car that has a white interior. Reportedly had 4 wheel disc brakes when at the factory. If you have any information on these cars, please email me. I am very interested in these early builds.